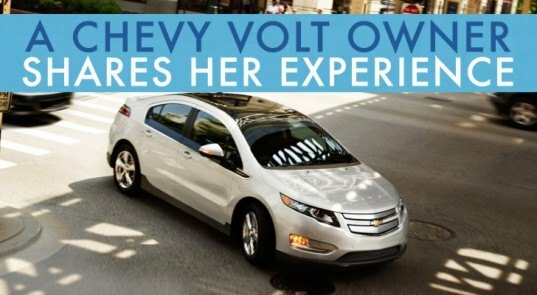 Note: The 2012 Chevy Volt offers an EPA-estimated 35 miles on a single charge based on 94 MPGe [electric] and 35 city, 40 MPG highway [gas]. Actual range varies with conditions. 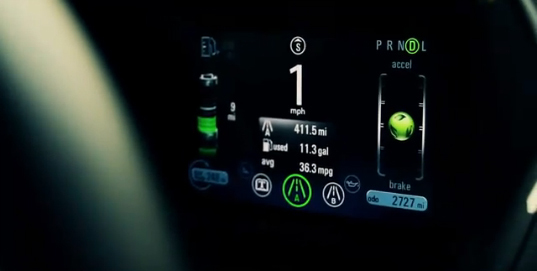 The Chevy Volt* is unique among electric cars because it runs on two sources of energy. You have an electric source – a battery – that allows you to drive gas-free for an EPA–estimated 35 miles. And there’s also an on-board gas generator that produces electricity so you can go farther. So if you want to drive using only electricity, you can. If you want to drive using electricity and gas, you can do that, too. Hear what one proud Volt owner had to say about how the electric car has reinvented her driving experience. Meet Laura Winger of Arizona. 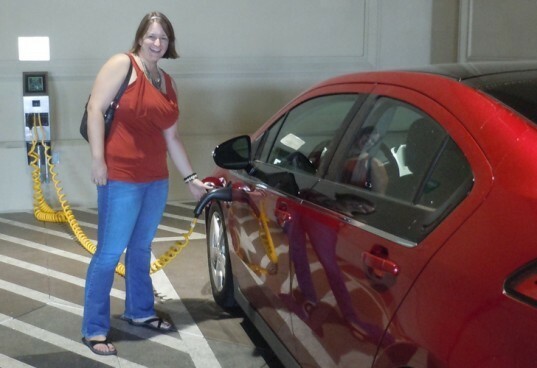 She admits that since owning a Volt, it has totally changed her perspective on driving. “It’s a total paradigm shift,” she says. “It feels great knowing that, while idling in traffic, stopped at a traffic light, or waiting in a drive thru line, my car can be running on electricity and not wasting gas.” In fact, if it was up to Winger, she’d never gas up again. “I haven’t filled up once just for my day-to-day driving, and that’s a refreshing change,” she says. Beyond not regularly having to pay at the pump, Winger notes that basic maintenance costs are minimal as well. “My next oil change isn’t until 2013!” she says. Winger also enjoys the fact that the vehicle is quite the conversation starter. “Co-workers, family, strangers in the parking lot, other drivers on the road, the valet driver — they all want to know how it’s truly performing, if it’s really what they say it is,” says Winger. “And it is,” she assures. There are also plenty of bells and whistles, too, she points out. “Everything in the car is cool; from the hard drive for music storage and the ability to rewind live radio, to the intelligent programming that allows the car to charge based on electric rates where available.” Her favorite feature, though, is that little green ball on the dashboard that she says has influenced her driving quite a bit. “My old habits of accelerating quickly are severely penalized by the ball (it gets smaller and turns yellow, which is almost as bad as getting a frowny face on a report in school),” she says. *Volt is available to order at participating dealers. Quantities limited. ARE YOU A SATISFIED VOLT DRIVER? SHARE YOUR AMAZING STORY WITH US HERE.